Barbara Lyman is a designer, writer and artist with proficiencies in business design, writing, and creating illustrations. At Alternative Designs, a design firm specializing in graphic and web design services, Ms. Lyman demonstrates these skills, which also include marketing, analyzing campaign strategies, fundraising and consulting. She has amassed more than 33 years of professional experience, and she continues to strive for excellence in her every endeavor. Ms. Lyman is a recipient of the Fundraising Campaign of the Year Award. She serves as a part-time graphics instructor at Minneapolis Community and Technical College, and she has held this position for over 15 years. She has also received numerous American Red Cross Communications Awards. Barbara Lyman was originally selected for inclusion in Elite American Artists in November, 2011. 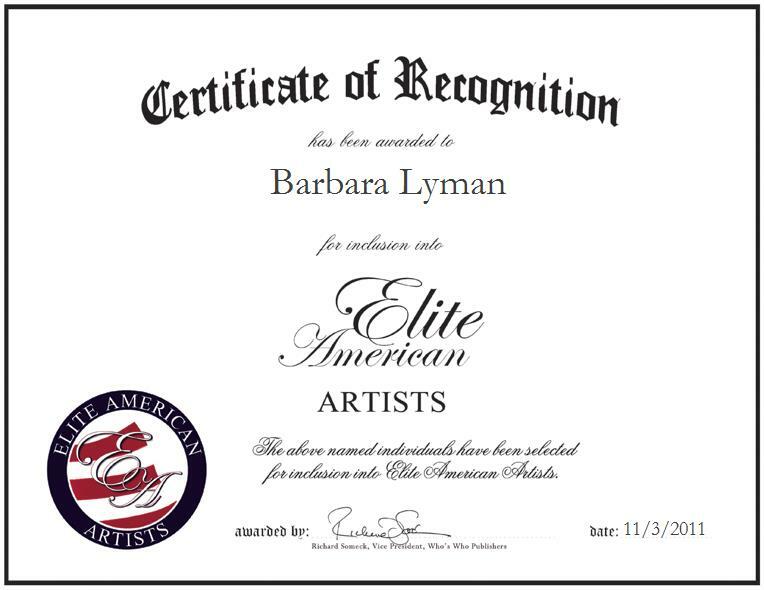 We are proud to be featuring Ms. Lyman again in Elite American Artists for 2012/2013.